Cepalin botanical extract- this is a natural ingredient that has been specifically formulated to help minimize, soften, and smoothen the appearance of both old and new scars. The ingredient has also been clinically proven to be effective. 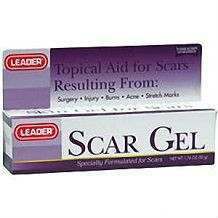 Make sure that you only apply the scar gel on wounds that have closed. 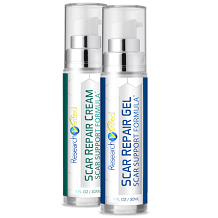 Clean the area and apply once a day for 8 weeks in the case of new scars and 3-6 months for existing old scars. Each 1.76 oz tube goes for $7.07.This is a pocket-friendly price. However there are no special discounts accompanying its purchase besides the usual offers from individual resellers. This product lacks a money- back guarantee and that means you too lack a fall-back to resort to in the event that it doesn’t perform as per expectation. There are however a few unclear and indefinite money-back guarantees on e Bay but they don’t have defined timelines and only apply for unused and unopened items. It is very concerning when the manufacturers of a product don’t provide a guarantee for their Product. Without it, it would only mean to the consumer that they have no confidence in their own product.